Going to the ACS? Come visit Fedor at the SCM booth #325 to discuss your research challenges and learn all about our upcoming 2019 release, which many nice new functionalities. See how you can model polymer properties, build your own ReaxFF training sets, or do chemical vapor deposition with the new GFN-xTB method! 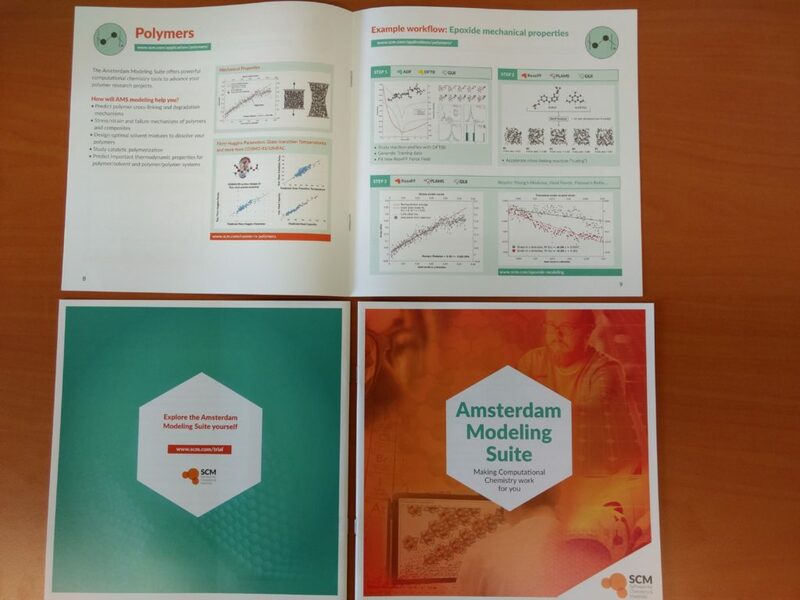 And be the first to pick up a real copy of our brand new brochure – see you at ACS Orlando!